Bluff readers, fancy winning a €1000 tournament package for just 2 measly euros? Fancy being whisked away to Dublin for the opportunity to win a big score, for what, according to the currency exchange at the time of writing, is a paltry £1.68823? Yes, you heard correctly, that’s £1.68823! Have we piqued your interest? Have we? Have we? Good. Now pay attention. 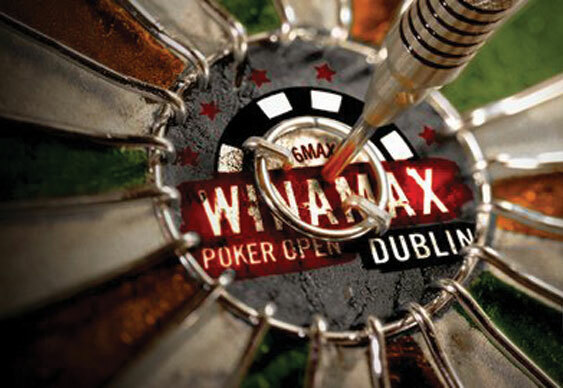 We challenge you to turn €2 into a fat pile of cash through The Great Bluff Europe Spin-up, exclusive to readers of Bluff Europe, which could see you playing at this year’s Winamax Poker Open in Dublin for a miniscule outlay. Every Monday at 8pm until March 24th we’ll be holding a €2 qualifier at Winamax Poker, each one offering two tickets into a 24-player online Grand Final. Win that and you’ll be on your way to Dublin representing “Team Bluff” for a shot at the big prize. Log on to Winamax.fr/en and sign up to register for the chance to win a £1k package. Tournament Name: Bluff in Dublin! Grand Final: Tournament Name: Bluff in Dublin Grand Final!